A new file format has been developed that has intriguing possibilities. 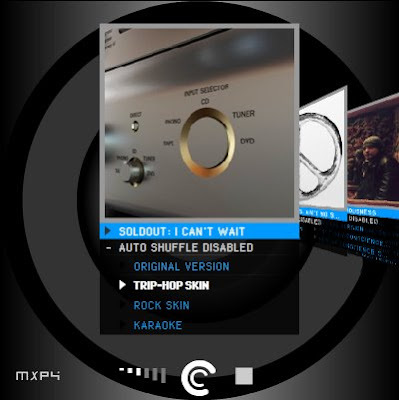 Dubbed MXP4, this format changes the way recorded music is experienced, providing a more interactive experience by playing multiple variants of a song as you play it - simulating the spontaneity of a live performance. Rather than listening to same song - the same way - multiple times, users can choose between various versions of the song using a download-able software player or online widget. Click to visit the MXP4 web site and try out their online player. The potential for musicians is amazing. 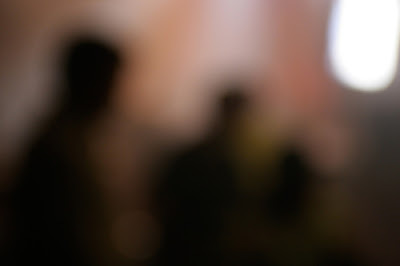 An artist could, for example, offer rock, metal, reggae, and pop versions of the same song. Furthermore, the artist could also assign weights to song "skins" providing a different experience with each playing. To elaborate, suppose a song had multiple skins for a particular guitar solo within the song. If the artist preferred one instance of the solo more than others, they could assign it a weight of 50% while assigning other solos a lesser weight. Then every time that particular song was played, the listener would hear the version of the song with the more heavily weighted guitar solo half of the time, but other times the song would feature an entirely different guitar solo, based upon how the skins have been weighted. Personally, I think this kind of technology (not necessarily MXP4 itself, but the concept) has tremendous potential for education in the form of learning objects - one file, multiple possibilities, all weighted by the teacher or student. But what do you think? 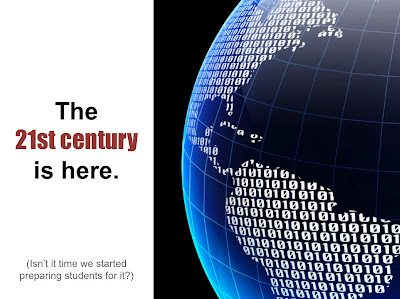 How could you use this kind of technology to teach or to learn? In response to Jennifer Wagner's recent post about Twitter High, I dedicate the following riddle to Graham Wegner. And is often a favored target for unbridled criticism by many? An economy in the toilet, political corruption throughout, famine, floods, drought, and war. An end to hundreds of diseases that have plagued humans for centuries, a staggering array of medical advances, effortless communications with people around the planet, and we might even go to the moon (again). Phishing, spam, viruses, and other related malware just to brighten your day. A plethora of (free, online) educational tools, invigorating potential for open education, and amazing opportunities for networked learning. 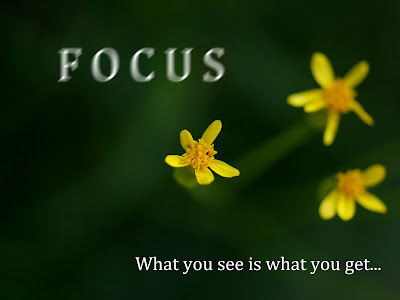 In the end, I think that our focus determines our outlook - and ultimately - our happiness. Just thought I'd share why I included this quote in my recent addition to our growing pile. Great stuff all around. Original image source: Flickr user dsevilla. There are three basic actions that every teacher can take to improve instruction now. If you’re a teacher and you’re still not getting out, you should – and now. Begin by collaborating with your peers about what works in your classes and what doesn’t. In time, expand your circle of collaboration to include other members of your local faculty and even members of your school’s faculty that teach subjects other than your own. You will be surprised by how much can be learned by teachers of other disciplines that will work for you in yours. I guarantee it. Additionally, in this day and age, there is absolutely no reason for you to not expand your circle of collaboration such that it includes teachers from other cities, states, and even countries. 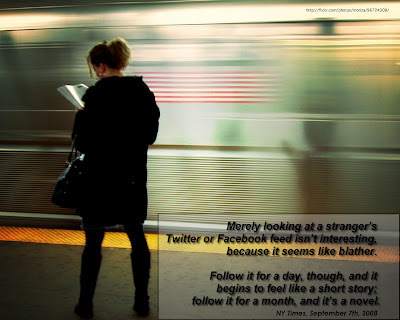 I would begin such efforts by joining any of a number of social networks designed for educators. Classroom 2.0, for example, can be an excellent place for you to meet other teachers with interests, issues, and instructional circumstances similar to yours. 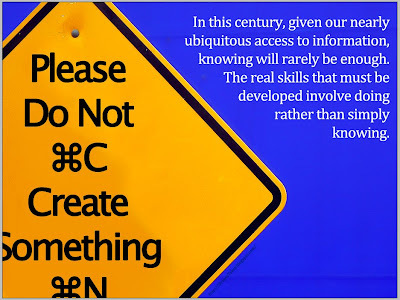 Whether you like it or not, your students are likely not learning many of the things that you may think you are teaching. By watching yourself in action, you will be able to see your instruction as some of your students see it – and probably learn of areas wherein improvement might be needed. Combining this type of videotaped feedback with collaboration can also be beneficial. In my experience, effective "practicating" includes a narrow focus on specific skills to practice. For example, transitions, question formulation, and giving appropriate amounts of wait time are all essential teaching skills that all take practice to master. Focus on one such skill and practice your way to improvement. Three simple steps to improved instruction - but tell me: which catalysts for improvement have I missed? Image source: Flickr user Wonderlane. * Caveat: I can’t help thinking that the law of diminishing returns doesn’t come into play a little bit here. By your fifth time teaching the same lesson in the same day, I’m sure you’ve experienced the ol’ “haven’t I already told you this?” scenario. I was stunned this morning while reading John C. Dvorak's latest column in PC Magazine. In a piece entitled "Microsoft vs. the iPhone" (not yet available online), Mr. Dvorak explains perfectly one of the ills that plagues public education by shedding light on the workings of Microsoft. In most instances at Microsoft, there is no dictator. There is a committee of individuals, all of whom have to like each other (because of the odd empoloyee grading system for promotions) and tend to use a hodgepodge of ideas to make what amounts to an agreeable soulless product. Replace Microsoft with [insert your district here] and you've got a pretty decent explanation of why so many things go wrong in public education. You see, the truth is that sometimes bad things happen to good people in good schools - and there's nothing we can do about it. I mean, think about it. 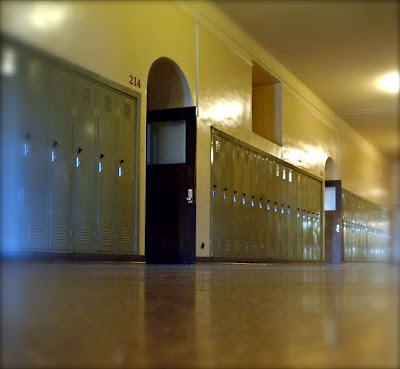 Did not we, or well-intentioned people just like us, create the policies and bureaucracies that currently regulate how things are handled within our schools? Are not we the ones that built the system, played the games, and engaged in the politics that have made schools what they are today? Nonetheless, there are times – a great many times – when the system fails us, when we come up short, when we must ask “why?” and yet we’re stuck, trapped in the system we’ve ultimately helped to create. I think that Lee Bolman and Terrence Deal (2003) have successfully summarized the dilemma that besets so many of us today, as we struggle to reform (fix, if you will) what we now call “school”. If we tried to get better people, where would we find them? Even if found, how could we ensure that they too would not become ensnared by the political forces at work? 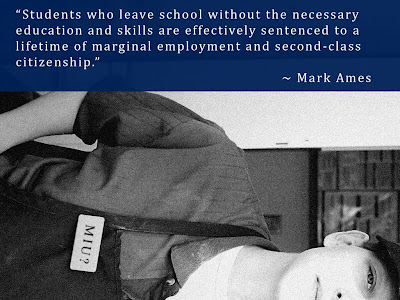 Something to think about as we continue to chew on this idea of school reform. Dvorak, J. C. (2008, November). Microsoft vs. the iPhone. PC Magazine, 27 (12), 52. Image source: Flickr user fliegender. So I've been playing with a few quotes here and there and thought it was praw-ly my turn to share the love. 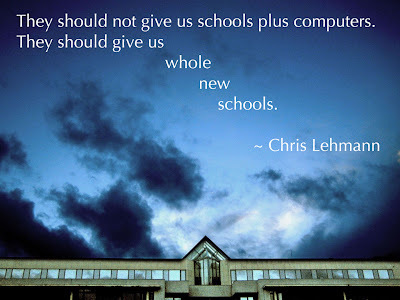 Image source: Flickr user Ali K.
Quotation source: Chris Lehmann, School 2.0: Creating the Schools We Need. Image source: Flickr user iboy_daniel. Idea for sign: Another Flickr photo but I can't find it again for the life of me. 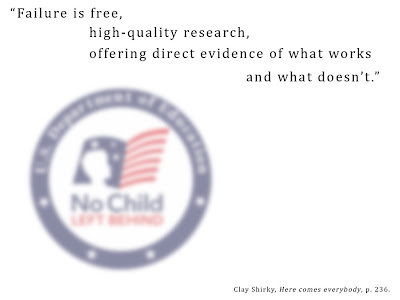 Quotation source: Clay Shirky, Here Comes Everybody. Image source: Flickr user dsevilla. Image source: Flickr user pine red. Quotation source: Mark Ames, NewsLeader magazine, October 2008. I created the following quiz/review for the teacher participants in our 21st Century Engaged Classroom professional development opportunity. An important aspect to this quiz is the fact that it forces participants to apply what they have learned before they are able to submit their answers. Original image source: Flicrk user iboy_daniel. In spite of any negatives that might come out of sharing one's curriculum, can we really afford to ignore how great the positives can be? Forgive me (again) for ever doubting. While we're on the subject, don't you kids pay me to ask the tough questions? Image Source: Flickr user [Sazzy B]. Forget everything I've said in the last three weeks because this is what I really meant to say. For reals this time. I mean, I always knew Chris Lehmann rocked but I never realized how hard. 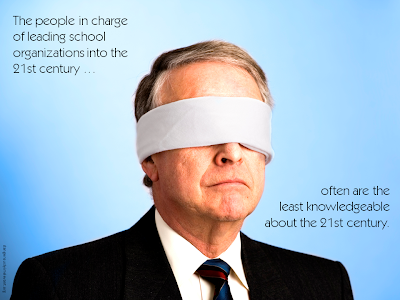 Is this true in YOUR school organization? Dan Meyer appears to be an amazing educator. He's clearly engaging, talented, and possesses a love for teaching that many teachers lack. I'd want Dan to be my kids' geometry teacher. Dan has shared his entire Geometry curriculum. "The whole year. 1.94 gigabytes. Every lesson plan. Every handout. 2,144 slides — flavored in Keynote, PowerPoint, and PDF." Some people might not like that. Since Dan's brought this dirty laundry out to light himself, I don't mind asking this now. 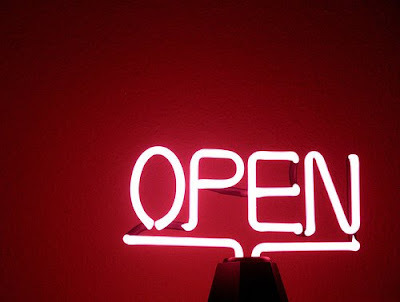 What will we discover when teachers who aren't as good as Dan begin to open up? Image Source: Flickr user GIRLintheCAFE. 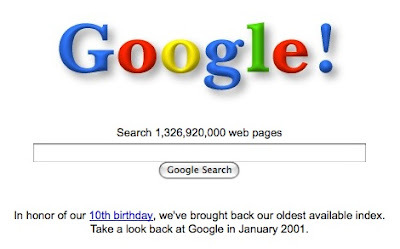 Google 2001 is nice, but what some teachers really need is more like Google 1983. That way their experience on the Internet would better coincide with the experience they are providing for their students. I told you Shareski was good. Multi-purpose and ya never know when yer gonna need 'em. Twitter version: Today I met Alan November for the first time, told him about OpenPD, and I ended up presenting with him at UASCD. I’m telling you: if I can do this anybody can. Seriously, folks. I’m just Darren, a nice guy from Utah. Yes, that Utah. I happen to love education and technology and sharing it with others. Sure, I’ve had a few breaks here and there but with a little persistence the breaks will come to anyone. 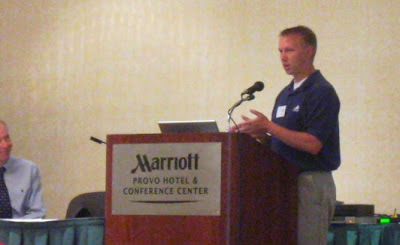 Today I attended my third UASCD conference in Provo, Utah. We sat at our usual back-corner table – you know, the one right next to the power outlet. Alan November was presenting, doing a fantastic job, and giving the teachers here what I like to call the “Web 2.0 First Discussion.” You know: collaboration, networking, throw in some Skype and bit of Google Docs. Not long into his presentation he Skypes in Dennis Richards, the newly retired (congrats) Superintendent from Massachusetts. During the first break, I decided to go up and meet Alan because I’ve known him by reputation for years and have greatly admired his work. In our brief discussion, we talked a little about Dennis and how I had come to know him. I quickly explained about OpenPD and how we had conducted this professional development using technology to connect teachers from all around the world. “We used social software to teach social software,” I told him. 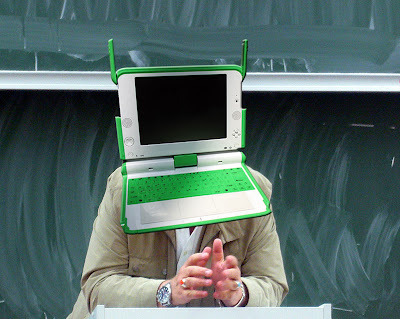 “And your teachers learned about far more than just wikis and blogs, didn’t they!” responded Alan. After a nice lunch and an even better conversation, I had learned a lot about Alan and he had learned a lot about me. One of his comments will stick with me forever. After lunch, he invited me to share my story with the rest of the group (roughly 600 people). I gave them all my “OpenPD First Discussion” and returned to my seat – clear in the back – noticing a room full of heads nodding “Yes!” and smiles from educators who just 15 minutes earlier didn’t know me from Adam. I’m telling you: if I can do this anybody can. So quit making excuses and change the world. While I suspect that K12 institutions would required a more localized approach to curriculum control, I think that there are tremendous possibilities for higher education in not only some form of an open (and accepted) accreditation but a shared (and open?) curriculum for schools around the country continent world. It seems to me that CCK08 only substantiates this claim. Schank, R.C. & Jona, K. (1999). 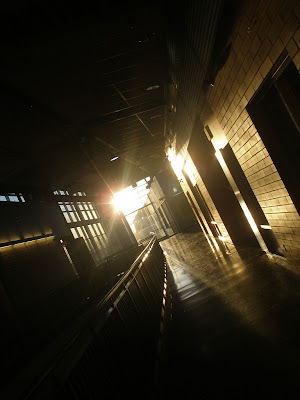 Extracurriculars as the Curriculum: A Vision of Education for the 21st Century. Forum on Technology in Education: Envisioning the Future, Office of Educational Technology. Image Source: Flickr user late night movie.